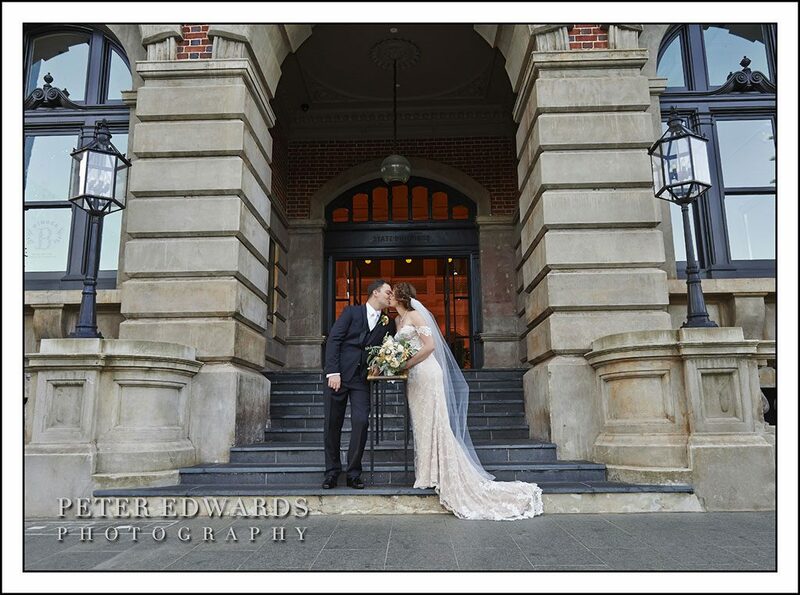 Rachel and Paul scored the perfect Perth winter wedding. 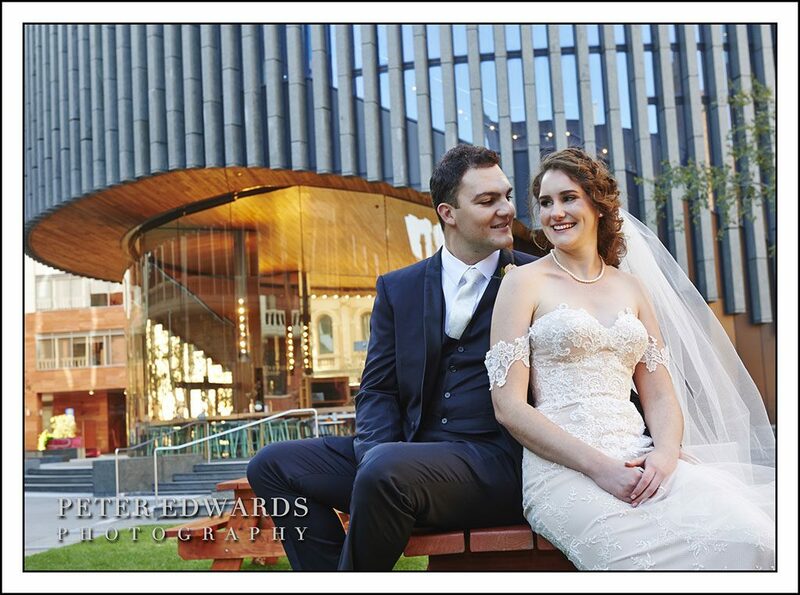 Blue skies and a crisp air, what more could you ask for when planning a June wedding. 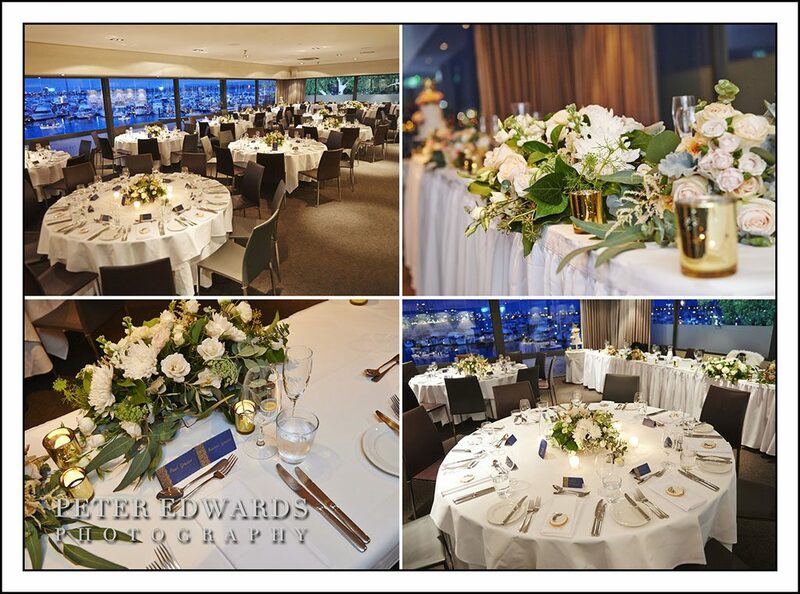 And the sunset at Matilda Bay Restaurant just topped the day! 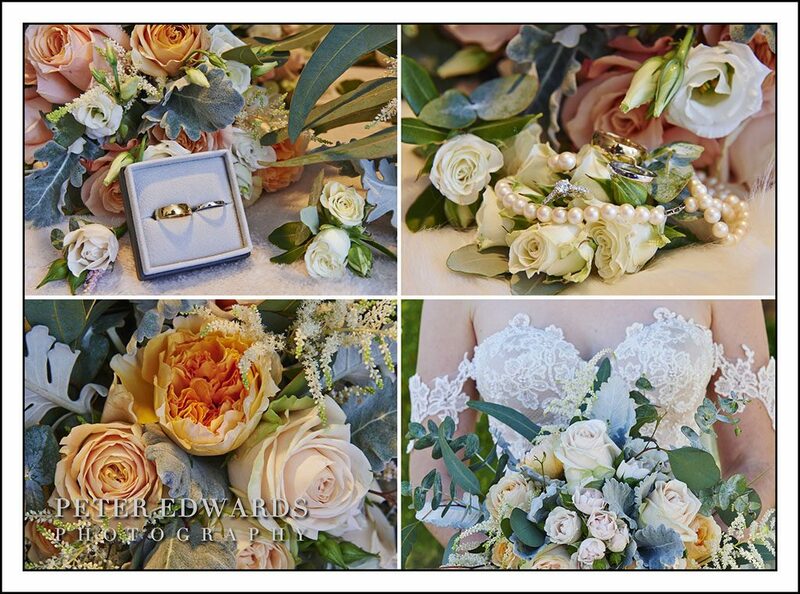 Rachel’s peaches and cream complexion was beautifully complimented with her mocha with ivory lace coloured gown and the peach and soft green toned bouquet she carried. 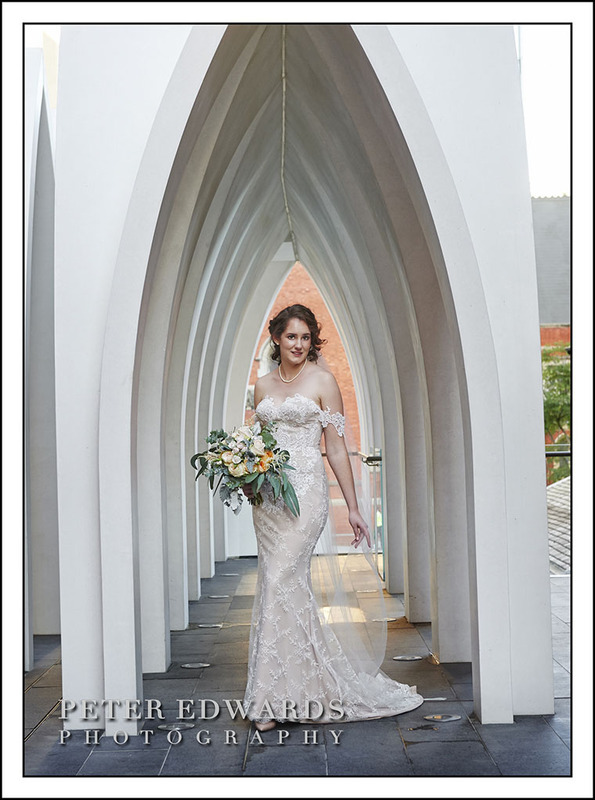 Her make up by Daniella Piscopo, made the most of her English Rose looks. 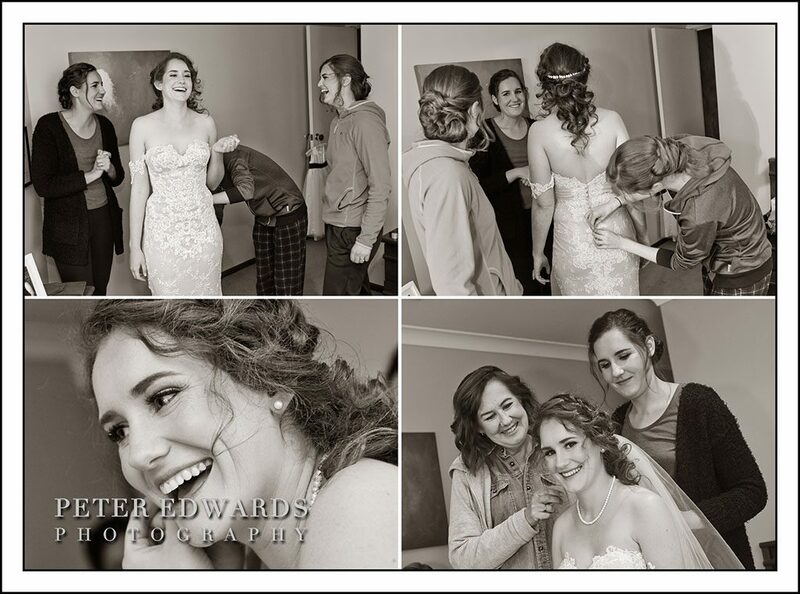 Rachel’s Hair was styled by Majella from M Jays Hair Concept. 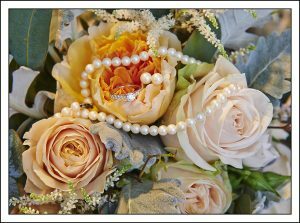 With her gown from Aubrey Rose she teamed her mum’s string of pearls and pearl earrings, fulfilling her “something borrowed”. 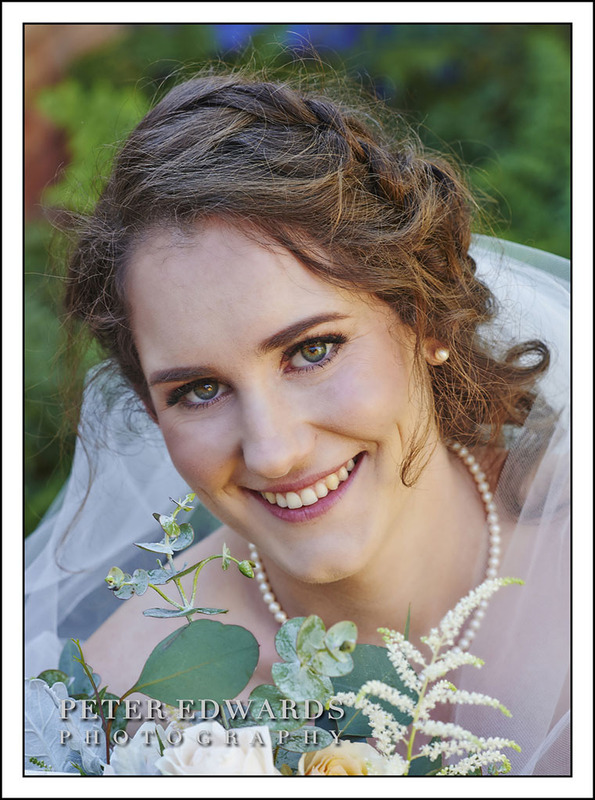 Her flowers were styled by Botanical Blooms. 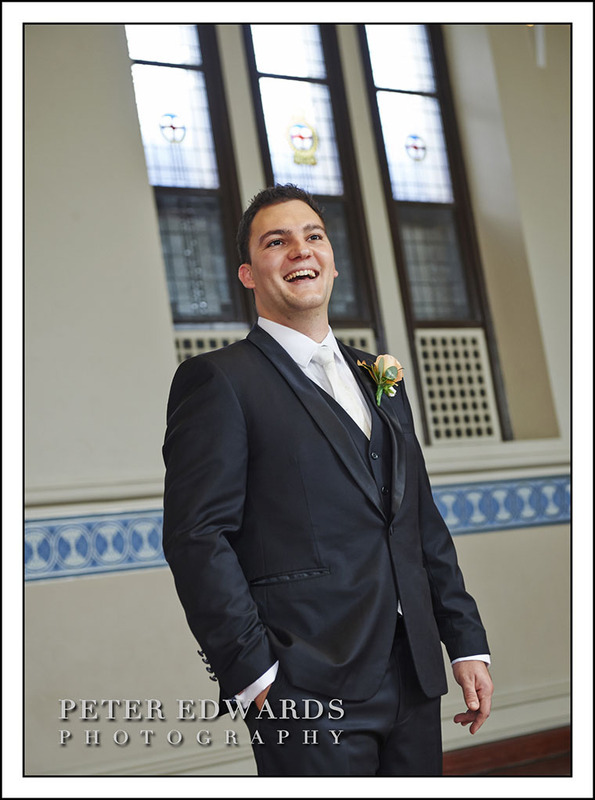 Paul and his groomsmen had stayed the night at Pamela Hilton in Perth city and walked down to the Perth Town Hall, the venue for their ceremony. 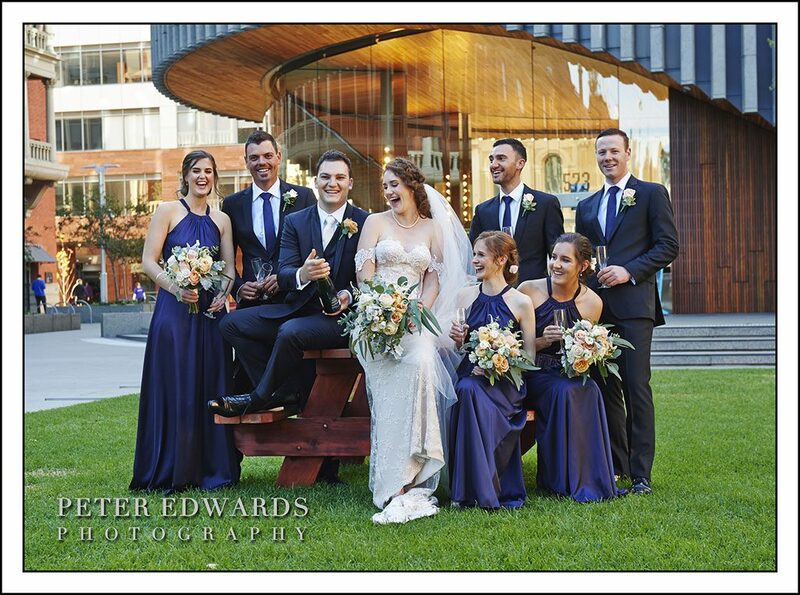 A chance meeting with a friend at a party led to them unexpectedly finding their wedding celebrant, Cameron Owens a partner of one of Paul’s school friends. 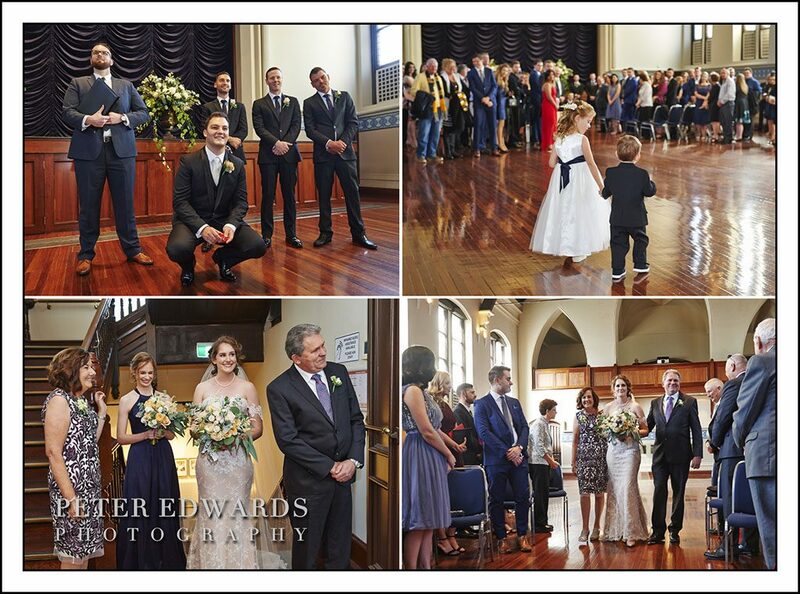 What a great touch to have a friend conduct your wedding ceremony. 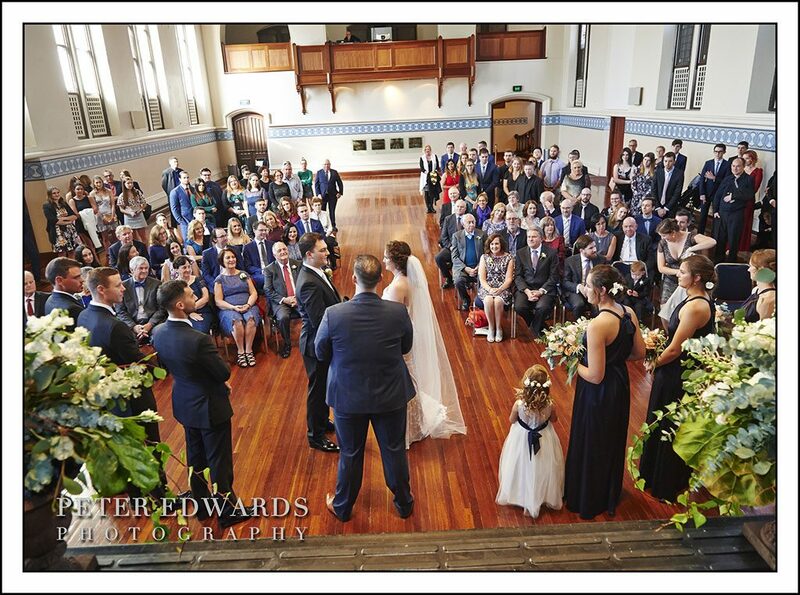 Both Paul and Rachel were keen to capture their extended families with them on their wedding day. 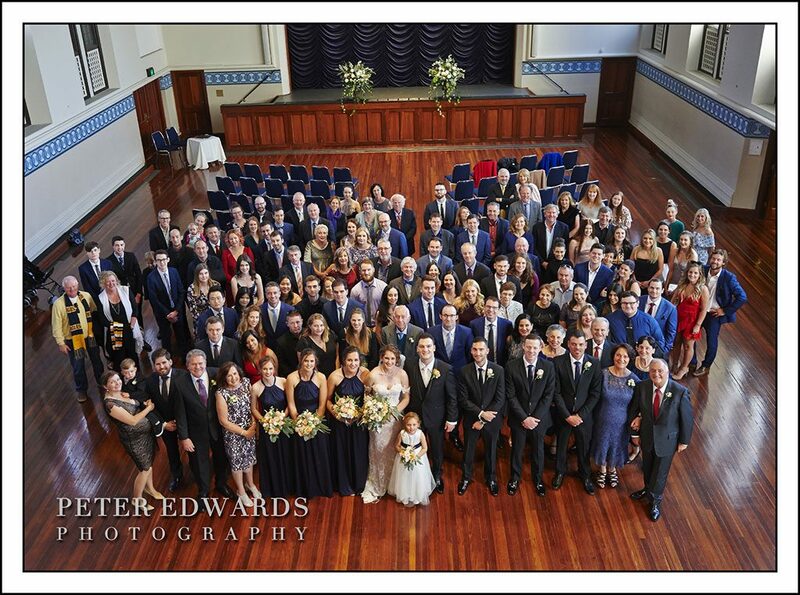 We snapped wonderful family shots of the clans featuring about 25 people per photo! They’ll be a great family photos to look back on! 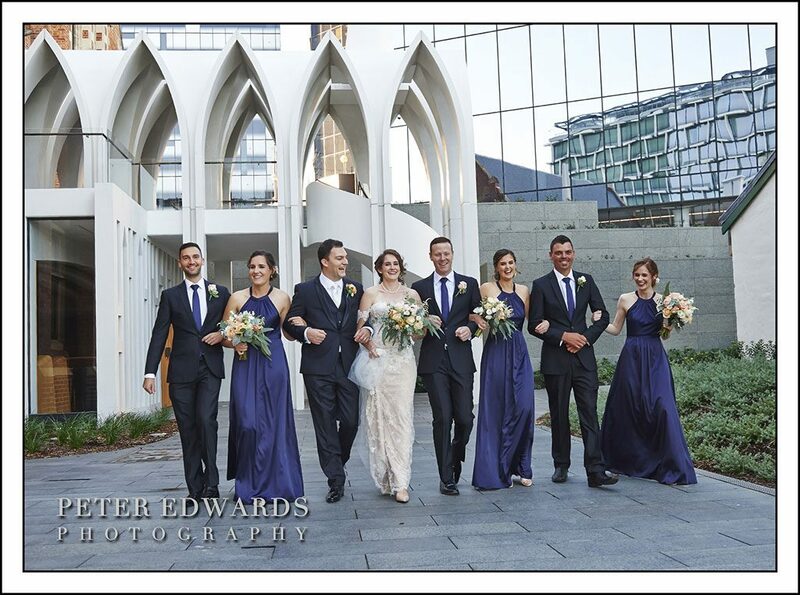 We stayed in the Perth city for the bridal party photography and made the most of the eclectic mix of old and new architecture. 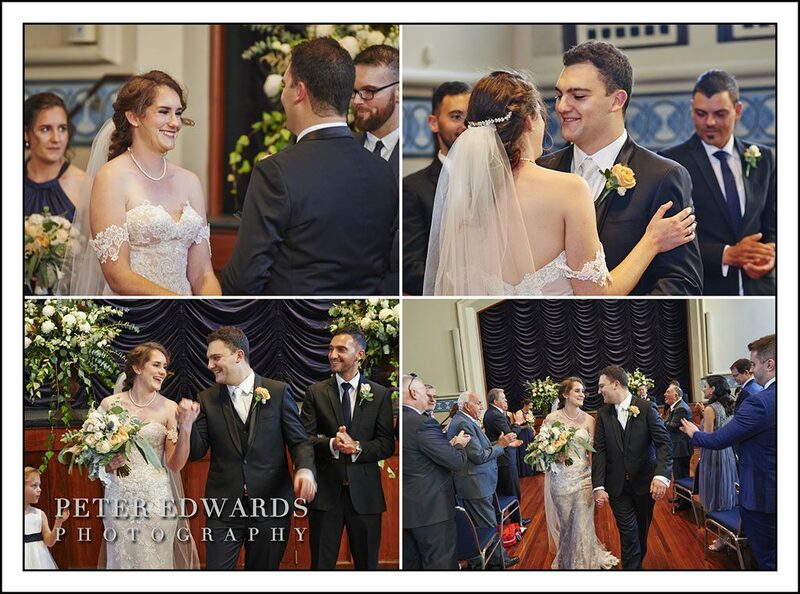 Rachel and Paul’s bridal party were so relaxed and easy going they made our job a breeze. Finally we headed to the Matilda Bay Restaurant were their guests were enjoying drinks on the grass watching the reflection of the sun setting on the river. 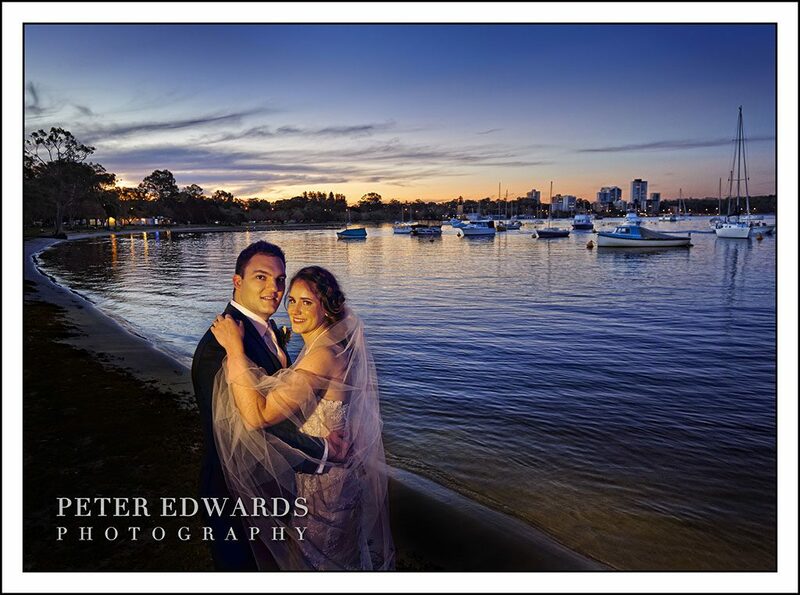 We photographed Paul and Rachel along the river’s edge and captured some magic wedding photos of the two of them at sunset on Matilda Bay. 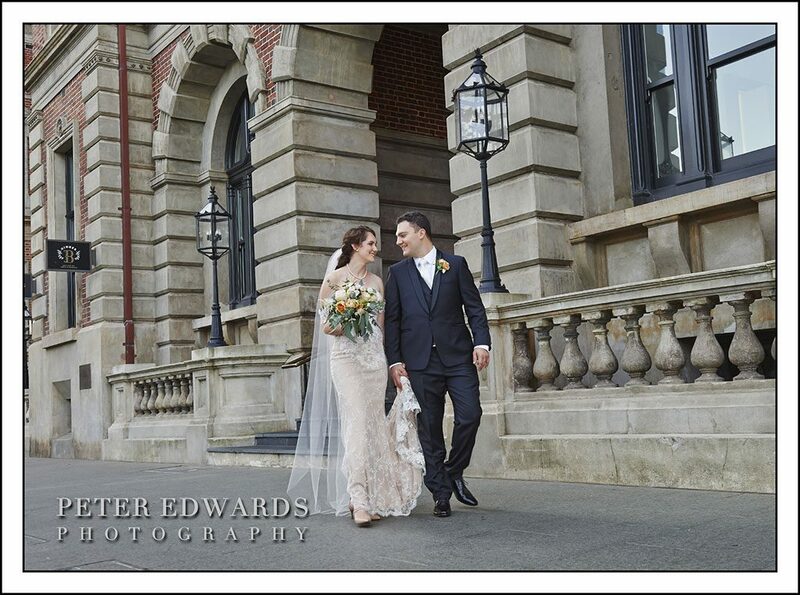 Their entrance to their reception grabbed everyone’s attention. 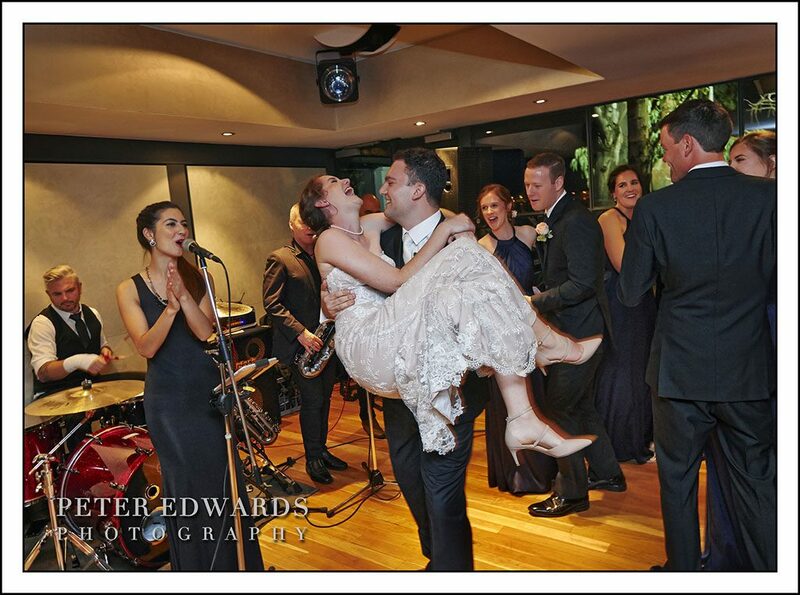 The 5 piece band started up and Paul and Rachel headed straight to the dance floor. Their amazing choreographed dance had everyone clapping and cheering, they carried it off like pros and had a ball going it!